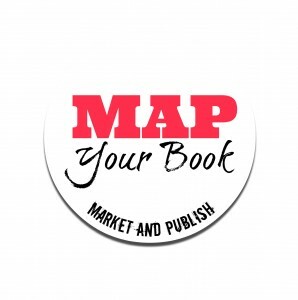 You are at:Home»MAP Your Book Blog»So You Want to Write a Book … Then What? So You Want to Write a Book … Then What? Does the idea of successfully writing and publishing a book bring a cheek-spanning smile to your face? If so, I can relate … and I’m here to tell you how to really, truly, and finally ACHIEVE that goal. Or maybe I’ll wind up telling you what not to do … (I’ll explain why in a minute). Either way, this blog will be a game-changer for writers looking to get published. You see, for as long as I can remember, I’ve had book ideas milling around in my head. I’ve attempted writing a book more than a few times. The closest I came was an 80K-word manuscript that’s missing its final chapter. Half a dozen other book attempts lay unfinished, only a few chapters in. Many more are just ideas, scribbled out at random. But this year, that all changes. It happens when you decide to write a book. But once you’re finished … then what? Sometimes it hits before you ever get a word on the page because you’re looking down the road at a vision of you with your completed manuscript … and then what? It’s where a lot of would-be-successful book writers get stopped in their tracks. Maybe you’re one of them, and you’ve got a solid idea, or you’re a gifted writer, or you’ve already created a glorious masterpiece. But the bottom line is — you can do this, and you can do it well! 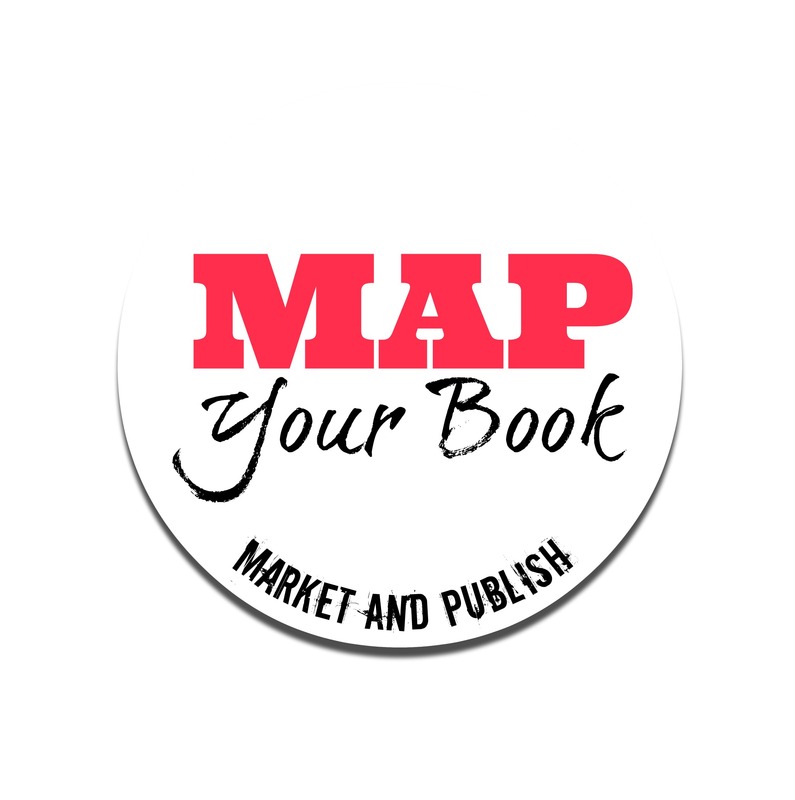 I’ll show you that anyone can market and publish their book successfully — with the right information. How will I do this? For starters, I’m on this journey with you. Like I said, I want to get a book published this year. And not just the kind that only my relatives buy. So I’m going to blog about the process — the ups, downs, and everything in between. Plus, I’ll be interviewing and connecting with writers, editors, agents, and publishing houses along the way. I’ll share their insider tips and their don’t-ever-do-that advice. I might end up with a runaway bestseller … or I might have a total flop (or ten). Either way, I invite you to join me in the creation of this soon-to-be-tried-and-tested roadmap. 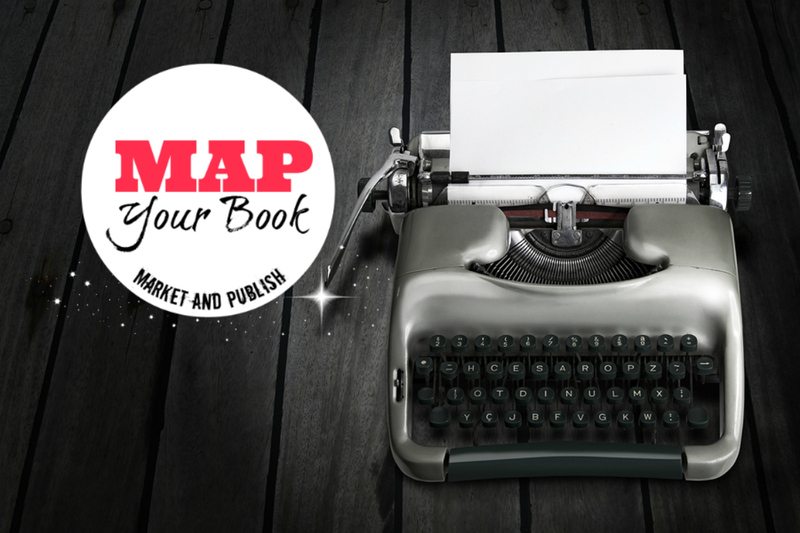 No matter what stage you’re in with your book, regardless of whether it’s fiction or nonfiction, a memoir, or a how-to, this blog will help you master the marketing and publishing side of things. By the way, if you’re wondering why I’ve decided to launch this blog in the first place, it’s because — quite simply — I’m a writer without a book. I’ve been writing professionally for seven years, making a great income from fees and royalties as a copywriter. But now, I want to write a book. And I know from experience that setting goals, making them public, and connecting with people who share those goals is the best way to succeed. So here’s to getting our books finished, polished, and published. And to enjoying the process along the way! Please comment below if you’re up for this, and tell me what stage you’re in with your own book. Doesn’t matter if you have yet to put a word on the page — just having an idea, or even the desire to write a book, means you’re in the right place. I’ll be back in the next blog to talk about how to set goals for your book that are realistic and achievable. Think of it as doing the groundwork to make sure you not only succeed at getting published, but — to milk an overused cliché — you enjoy the journey along the way. Is a Book Signing Worth It? Hi – sounds interesting! I am currently on the third and final re-write hopefully of my novel and would then like to launch it on the world. There is so much negativity in the world with people saying oh it can’t be done or you will never make any money at it but hey people love to read, someone has to write the books they read – why not me? And plus I have throughly enjoyed the whole writing process and I feel the book has grown as has my writing style over the re-writes. Bravo, Pam! It’s one thing to write a novel, but to see it through three re-writes is impressive! I agree 100% about the negativity when it comes to writing and publishing. It’s a shame, too, because nearly all the writers I know who’ve self-published or gotten books published have had great experiences. And whether or not they made money, it was always worth it in the end. I look forward to hearing about your own journey with getting your book out – best of luck! I’m so excited. I think about writing a book each day. I write down thoughts and feelings about my book often. I would like to have some direction related to expression of what I write about. Yes. I have always dreamed of writing novels and or memoirs. This is a very interesting topic to me. I am always writing. Always coming up with ne ideas. I enjoy writing.. Reading, gathering new ideas from poems, stories I writing journals. Phumlani, I learned late last year: “If you stay in the box, you’ll die in the box.” This was from Jesse DuPlantis a well known speaker. I, myself am learning to look outside the box. If you’re shy, that could spell fear. Fear is only a shadow. Have you ever shaken the hand of a shadow? Get to it, be bold be strong for the Lord thy God is with you! I’ve been told by many I should write a book about my life . type , however , sharing my story with others I believe would be very powerful. Could you explain what their role is so I’m sure I understand correctly ? I think I may be able to help you with this process. I too, have never written or published. But I possess the skills and background in the subject, having grown up in South Texas on the coast. I look forward to more on this topic. I just finished my first book. I have a few revisions to make, but my goal is to have it sent out to my first agent before July 4th. At the same time, I’m starting to study the “Accelerated program for Six-figure Copywriting.” My book is a paranormal romance, but I love all forms of writing, so I’m looking forward to learning how to be a more persuasive writer. I’ll stay tuned and look forward to reading more from you. I’ve been writing and illustrating my Children’s Book…. And to Finally bring my Book into Fruition! Good for you, Mandie! 57K is something to be proud of, and I’m impressed you’ve started a new one as well. I have a few others started besides my big one, but they’re more like 1000-word exercises. Here’s to finishing our books! Hi Chad! Very cool – and nice to meet someone who’s already been through the self-publishing journey. I’ll bet there’s a lot I could learn from you… thank you for being part of this community! Each night my I would read or make up a bedtime story for my kids, at the tender age of nine my youngest son, Dylan decided he wanted to tell me a story one night. I agreed thinking the story would ramble. Wow, was I surprised. The adventurous story my youngest son told me that night not only came full circle . The story could easily be a children’s best seller. It’s a story that would bring smiles to many children and the adults reading the story to their kids. It’s a story that should be shared, but as a single and low income mom I’d have to publish the book myself. If anyone could help I’d really appreciate it. Then Google… Successful Self Publishing! Isn’t as difficult as you may summize! Get the story out there! Writing and publishing a book is on my Bucket List. Exactly! Totally with you on this! OMG MINDY! How lucky was I to ever come upon this site. I’ve been looking for someone, to help me out, with this big dream of mine to write and publish my first book. I’ve been burning with desire to do so. It’s like wanting to tell, everything, that i know, and experience in my whole life. I kept feeling that, what i have to publish in my first book! Would be better than “PeYTON PLACE.” And, as for the others, that “I HAVE IN MIND;” Well time will tell. And to make this all so sweeter! It’s that I won’t have to travel anywhere. Only to be right at home. You see, all the research, I have, is already, in my head. All I need, is someone, to work with me and help me out, with all the necessary processing, it takes to publish and promote a book. Thank you. 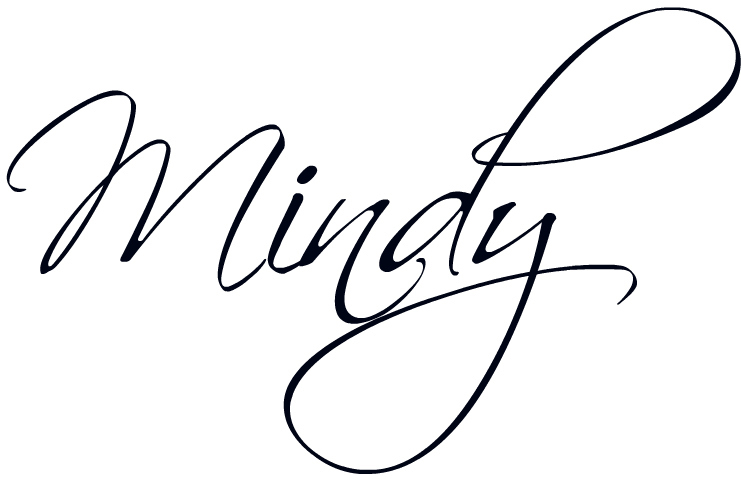 Thank You again, Mindy ! I discovered AWAI and Copywriting upon reading a direct response piece you wrote last October. It was my “Light at the End of the Tunnel” and I’ve never looked back and not once have I doubted the reality of the Writer’s Life. But wanting it and doing it are two different things. Beginning the Accelerated Program, signing up for boot camp and moving into this learning has shown me…in stark relief…what keeps me from achieving my writing aspirations and goals. Problems with time management ; certainly self discipline, but mostly a fear that I’ll get stuck in the middle. I will read and follow your Blog !! Thank You for continuing your own journey and for so generously and creatively sharing your work as a learning opportunity for others. Thank you so much, Robin – I’m touched by your kind words! I totally hear you on the fear and the self-discipline and the time management issues (all challenges of mine as well). But if there’s anything that’s helped me achieve my writing goals, it’s being part of the AWAI community and having the support (and advice!) of those who’ve gone before me. So I’m happy to have you here and I look forward to learning together! You’ve given birth to a wonderful writing community, thank you so much! I’ve been helping other clients get their books completed for the past six years. Now, I have a book that’s close to being ready. Six excerpts have already been published in an online monthly newsletter, so I’m hopeful people will like the book. Right now, I’m researching comps. The book is creative non-fiction. Look forward to learning more about the writing process and especially the marketing and publishing process. Thanks for your generosity in sharing all you’ve learned along the way! Hi Barbara! What great insight you must have into the book-writing process with that background. And did you know L.M. Montgomery (author of Anne of Green Gables) first published Anne as excerpts for a monthly newsletter? Here’s hoping your book enjoys similar success! I look forward to learning more about your success as we all go forward together. Thank you Mindy! You’ve been such an inspiration to me! I became a copywriter after one of your webinars a few months ago after I had my 3rd child. I decided to quit and do it full time so I could focus on my novel. I was happy to read your blog and look forward to the next year with you! I am preparing to go freelance…I’ve been a PR director, a PR professor and a freelance writer (years ago), but I have two book series I want to write plus I need to begin my full time freelance career. I’m also including social media to get my name out there. I would like to find an agent but might end up self-publishing. My past marketing and PR experience might help me if I do it on my own. Hi Diane – congrats on your upcoming switch to freelance! Very exciting, and sounds like you’re in a good position with your PR background. I’m in the same boat as far as wondering about an agent vs. self-publishing… cheers to figuring it out together as we go. And best of luck to you on the 2-book series! Hi Diane, Not only do we have the same name BUT similar backgrounds and similar writing desires and goals. I have been an Interior Designer- need lots of self and business promotion, quite successful, then a stay at home mom while continuing my education, achieving several degrees and thesis writing, Professor in history, and then Realtor, and Certified Creativity Coach, great as a mom of six needing control over time. AND found it very necessary to promote myself in many different venues. AND have several books in process, both fiction and non fiction, with ideas for others. AND I am at a point in my life where I want to enjoy and be excited about my career goals. So, I have just signed up! I see you wrote this on May 27, 2015. My question is, how are you progressing? Has the program helped you in the various writing goals you had, have? I am still gathering my notes and thoughts for my book, but I would like to feel that I have an understanding of how to get my book published. It does seem like an overwhelming concept and I want to clear the cobweb thinking about the process. Hi Susan – you nailed it with the term “cobweb thinking” – that’s exactly how I (and so many writers I know) feel about the process as well. Cheers to clearing those cobwebs and going forward together! Thanks for doing this Mindy, I’m looking forward to it! I’ve come to love the information from AWAI and have no doubt this will be any different. I have self published one book and have decided to try traditional publishing with the second. It’s been just over a year since my first full draft. After a major overhaul last fall I decided I was happy with it and have since gotten 7 rejection letters… come on lucky number 8. I know you’re out there! Tough business to break into, but I know it’ll be worth it in the end! Rachel, I love your attitude! And I love the concept of lucky number 8. 🙂 Smart plan, too, to combine self-publishing with traditional. I was just at a writing conference where dozens of accomplished writers said that was the best way to go. I have notes from their presentations, so I’ll do a post on it soon. So glad to have you here! I was about 5 chapters in when writers block and fear of not understanding the next steps took over. I have also set a goal to complete my book this year. Happy to join the journey and get back on track. Good for you, Ron! I’ve been there, so my hat’s off to you for getting back in the saddle. Here’s to a happy, productive year for us all. This sounds great! I have an agent who is interested in my book idea that I pitched back in February and who is willing to handle the editing and marketing side of the deal. (Mid-size publisher on a regional memoir.) I am struggling terribly to get it on paper! I fear he will lose interest if I don’t produce something before the end of summer, maybe your blog posts will help me. I am working part time and also have 3 teenagers at home so it can be difficult to get alone everyday just to write! Mindy to the rescue :)). I will look forward to receiving your next post. And now I have your blog to follow. My book will be about my mother – either a memoir or ficton. She grew up during the Great Depression and in her final years was Skyping with her grandchildren. There’s a lot to work with there. I look forward to following you as you as you write your book. Thank you for creating this community. Hi Sharyn! Cool – your possible book sounds fascinating (what a journey for your mom!). Glad we’re in this together! I look forward to hearing about your progress as well. Wrote at least 10 novels since high school. Reworking on one I finished when I was seventeen years old. Would really like to see it published one day! Thanks for this post! It is so timely and right on point for me!!! I have written but never published, short stories and want to write that “best selling novel”. I appreciate your blog and look forward to continuing to follow the Barefoot Writer. Ready to go!!! Opening a book and reading pages long overdue can be try some experience. Even so when writing or copywriting it. When you have to heal someone with your words it becomes rewarding enough at best to acknowledge esteem written. I am eager to learn the best and fastest ways to be published. I have written poetry for decades and have plenty to put together several books. I also lean toward children’s books. Several of my daughters have written books, none are published as yet. So, this is timely for me. How cool that writing runs in your family! Here’s hoping you’ll all get published this year… that would be too neat! I’m impressed you write poetry on top of everything else. And by the way, congrats on winning the Challenge essay contest last month! I look forward to reading your blog. I have written three children’s stories for my granddaughters, with ideas for at least a couple more, and have recently thought about getting them published. I am excited to be able to follow your journey. I’m certainly cheering for you on yout road to getting your book publihed. I have just gotten my book published. It is now in the process of printing for Singapore distribution. I have found a local distrubtor to distribute the book for me. I am also exploring the best ways to publicise my book. It is a children pucturebook called Psalm 23 for Kids available on online book atores. Meanwhile i want to launch my career as a copyriter -kind of running on a different track. I do hope to make money from copywriting. Book writing is a dreaming chasing act or me. Very cool! You’re about to embark on the best of both worlds. 🙂 That is, copywriting has been a godsend for me, and so enjoyable, and such a great way to support myself. And the fact that you’re published on top of that is terrific! Huge congratulations. Please keep us updated on how your book does, and I’ll do my best to share easy & effective marketing tips. I’m about 1/3 of the way thru 2 different books. I just need more discipline to sit down and work on them. There are to many distractions – I need to find someplace else to work. That’s a great point – finding a dedicated writing space is so crucial. Have you tried a coffee shop? Or if the distractions are at home, have you tried headphones with white noise or some kind of ambient background music? Best of luck to you for finding the ideal writing space! I have a whole page and a half of a novel written. I think I could write a whole novel – it would take a long time and would be a lot of work, but I think I could do it. My problem (and the reason I quit writing) is that I don’t really know where the story is going. I have some ideas, but good books have all kinds of twists and turns in the plot, and I’m just not coming up with any ideas. I am anxious to follow your blog and maybe it will happen! I understand, totally! I’m not a plotter by nature and trying to think about what will happen in a story stresses me out. Have you ever tried free-writing? It’s where you write for a set amount of time and don’t worry about what you’re writing. A lot of writers I know value that approach because it helps get their ideas unlodged and gets the creativity flowing. I’m thinking I should try it too – 15 minutes a day for a week, or something like that. You might see if it helps with finding new ideas… and I’ll definitely write more about it here on the blog! I’ve always wanted to write a book. As a teenager I wrote short stories for children and loved it. Then had kids of my own and put everything on hold! I’m also a singer/songwriter, so I’m hoping this experience will add to the creative side of writing a book. As a single mom, it would be a amazing to live where I want and just write about something that I’m passionate about. Thanks for helping me realize that my dream can actually become my reality! I’m looking forward to reading your blog and the positivity you will bring to the journey. I agree there is so much negativity when it comes to pursuing writing as with many pursuits in the arts. novel and it’s so energizing! I too have the challenge of writing with preschoolers underfoot. Or rather, who want to tap on the keyboard just like mommy! So right now, I am focusing on prep work- reading, plotting, developing characters, notes on scenes- so that when I have my moments of time I will be off and running. I have a couple of weeks in the summer scheduled for more productive writing and hope that with the prep work I can be productive even when I have only a small chunk of time to work each day. I did not read all the comments. But, for the most part, we share huge similarities. I too suffer from the ‘what next?’ Since discovering AWAI, I have been re-tracked and on a new and improved mission. Thanks AWAI and Mindy, of course. Hey, congratulations on being 97% of the way through with your project! Sounds like it’s going to come together soon… wishing you the best of luck. 🙂 Thanks too for the kind words… I certainly wouldn’t be where I am without AWAI and everything they’ve taught me about writing for a living. Looking forward to this next chapter of trying to figure out how to make it work – and glad to have you along for the ride! Saliek can you help by giving me a platform? My father was a writer who never received a rejection slip. Because he never submitted his work to a publisher! I studied ALL the AWAI programs back in 2006-2008 (they are all in storage right now). I got sidetracked but now have the opportunity to BE a writer. I have an idea for an ongoing series and want to also write a memoir. Looking forward to this blog and the support and exchange of ideas! I am excited to follow you on your journey. I have a fascination with people who have set out on solitary journeys. It doesn’t matter if it is rowing across the ocean, fighting through jungle obstacles, or sitting behind a keyboard tapping out their life’s story. My goal is to turn blog posts into a book along with completing a novella that is sitting in my draft file. Sounds wonderful and exciting. Looking forward to it. It’s like you read my mind. I would like to publish by or before the end of this year. What I’d really like is to publish an e-book or two. I have been a fan/follower of AWAI for a number of years. I completed the Accelerated Program a few years ago and started making a name for myself with copywriting projects under my married name. Then life got in the way and I got sidetracked and discouraged… stopped pushing to become a freelancer. I think I’m ready to get back in the saddle and make another attempt. I have written a suspense novel and am working on a couple of e-books I would like to self-publish. I have had my novel “critiqued” and am working on rewrites now. I need to find a way to stay focused and regain my self-confidence. Your blog sounds like just what I need to motivate me and keep me on track. Thank you! If this isn’t the moment I’ve been waiting for to actually write a book, it should at least move me further down that road. Thanks for giving the incentive. I want to write a e book to self publish on Amazon to support my website and my copy writing business. Just an idea at this point. So I’m starting from scratch. I also have a novel completely outlined, and the first few chapters written. It’s on the shelf right now as I am concentrating on getting my business started. Last year, my husband and I co-wrote and self-published a book about his year (Nov. 1967 to Nov. 1968) as a helicopter pilot In Vietnam and my life as a pregnant military spouse and college student waiting for his return. It was difficult to go back there and relive that time but we learned so much about ourselves and each other. Best of all people are telling us how our book has helped them, and for us, well, what happened to us is still there, but it doesn’t own us anymore. I’ve started AWAI’s Accelerated Program for copywriting, which will expand my writing skills in a new direction while I also help my husband with the next book he’s started. Congratulations on your blog. I’m looking forward to joining you on your journey. I completed the Accelerated six figure copywriting program a few months ago, and I’ve recently started writing my first book about health and nutrition. I have a few thousand words so far, so I have a way to go. I am looking forward to your blog – thanks for doing that. I have written my first draft of a How to Book related to Relationship Recovery. I have walked away…starting and working on other projects. I would really like to get it published before doing a Webinar as the expert on How To Obtain an Emotional Divorce with a colleague. Your blog is timely, indeed! This book sounds so familiar. Something that makes me want to think and accept constructive criticism. For my twelveth birthday my parents gave me a carina portable typewriter. I was so thrilled with it I began my first story. It turns out that I kept that story all those years and today I am going to turn it into a child’s story book and self publish it as an ebook on Amazon. Those who I have let read it do not believe a child of twelve could have written such a story about how the love of a horse and the lessons learned as this little colt grew up on this farm. What an imagination I had at an early age. I am now 74 years old and a widow. I am currently going back to school to get my Clinical Hypnotherapy degree. I am also writing another Novel, which is 3/4 finished. It is based on episodes in my life and those who have influenced it as well as played a part one way or another. Hi Mindy! I am sorting my poetry and find that it falls into 2 different, but similar categories. I am getting excited, because I may just have enough of them for 2 ebooks! I thought maybe 1, but we will see. I haven’t talked about it, but people began suggesting that I publish, when they hear things that I wrote. I love reading about people taking the dive into writing careers and I hope to be one of them in the future. Being nervous about taking the plunge, finding time with my day job, suppose I don’t make it all crow my mind, but in the meantime, thank you for your inspiration and strong words of encouragement! What a fantastic idea: To blog about the “now what” of promoting, marketing and selling a book! I just started a book and have done about 4000 words. I never even thought of, what to do with it, when it was finished. So this invitation came along just at the right time. I looking forward to your advise and guidance on this journey. Thanks for the push I needed to finally make a commitment to start taking the first small step into my dream life – the Writer’s life. I was at the Web Copy Intensive Workshop in Austin and even then, you were one of the speakers who inspired me. But, and this is the big but, I was my own worst enemy. I was sabotaging my own road to success. With my fears, with justifying my delay in starting to follow in your footsteps, with thinking I needed to study more. And yes, I have an outline of the book I want to write, need to write. Thank you again for the reminder that I have to just jump in and do it. This is the first bit of information in AWAI that helps me in my quest – to have a manuscript printed for three of my relatives. After I achieve this, I am looking to self-publish. Went to a site called Xlibris; they want $3,500.00, which is way out of my price range at present. Would like to start an income flow as a writer, so yeah; my interest is peaked. Do you have any ideas of where I can get my manuscript printed? I’ve only three months left for my deadline. I’ve just finished my first book (at least prior to editing) and plan to make it an eBook on Amazon, etc. It’s a story of earlier frontiersmen in the Eastern U.S. It involves several characters and their lives and travels. The central family is the Coffins whose descendants I knew personally. It relates one of Coffin’s travels from TN to TX around the time of Texas becoming a Republic and the dangers he faced on the trek. I’ve managed, at least so far, to leave the book open-ended enough for sequels with additional adventure. Still needs editing and a nice cover (for which I’ve put together a rough (maybe “crude” would be a better descriptor) concept for a designer to work with. I’ll still need to get it converted to eBook format as it’s in letter size currently. It was fun to write (about 25,000 words) and I’d like to do it again but will wait to see what happens next. Thanks for the blog invitation and I’m looking forward to seeing the next installment. I have one novel I started about 20 years ago but got stuck in the story. I have an idea for a historical fiction book and took a trip to where much of that action takes place, northeastern Tennessee. Your blog sounds like something I would like to read. I finished a novel and a short story last year and ran into the brick wall of agents who aren’t interested because I am not a published writer. Publishers who do not accept unsolicited manuscripts. I have had offers from 3 do it your self outfits who want from $3,000.00 to $7,000.00 to edit, and print my book. If I had that kind of money I would not have been looking for a publisher in the first place. I am eager to find out how to do it myself without taking a mortgage out on my house. I just came across this blog today and was excited to hear that I am not the only person who feels like this. I have always had stories or ideas floating in my head, English was the only course that kept me focused for longer than the class ran. I have several books started, a few series as well, but I get stuck with the thoughts of… then what? Will anyone like it? Would anyone want to publish it? Then my books get set aside and left wondering what will become of them? So, thank you Mindy for posting this and I look forward to your next note. Mindy, thank you for taking on this huge topic for Barefoot Writer fans and now LinkedIn, where I found it. Though I try to read all of BW and especially look for your articles, I obviously missed this one until today! I’m an AWAI member, have completed the Accelerated Copywriting course, just finished Joshua Boswell’s (outstanding!) 12-week Simple Path to Success, and released my first book today (9/17)! Graceful Last Chapters: Helping Seniors Who Need More Care, my first book, was a labor of love . . . but I’m finding the marketing effort to be simply a labor, without the “love” or maybe even a “like.” Can’t wait to read your next installment! I have published ten books in the past year. Not self publishing. But I am very interested in reading more on this subject. Thank you. I have always wanted to write a book, either a Biography of my life, having been through so much! no one would probably believe it all. When I start thinking of how to begin, my mind goes in so many different channels! I could use some advice as to how to get on the best channel! i have lived through a life of Bipolar members of my family, as well as Picks Disease and Multiple Sclerosis ( this is me). My husband died of Picks Disease and that story is a real winner. I kept a daily log of all that happened. Now, my journal is locked in a storage space I had to rent in order to sell my home, then move in with my Mother. Now her caregiver, as well as caregiver for my brother who lives in a VA Medical Center, after brain tumor removed. Help???????? That’s a great goal! My best suggestion is to just start writing. Write what you remember now, and then fill in the details from your journals later when you’re able. As you write, don’t worry about anything. Just write. Once your story is written, you can go back and edit it later. You’ll find that Writing is like any other skill – the more you practice, the easier it gets. Good luck with your writing goals! Hi. I am intrigued to say the least. My son and I are actually working on a set of books. We have a solid foundation for four books. We have been tinkering around with them for 2 1/2 years now. My son started the whole thing when he was grounded from video games for two days. He was halfway through the first grade (6.5 years old) when he came to me with six pages front and back. He read it to me……Whew. I still get goosebumps when I recall that evening. He is a natural, silver penned wordsmith. I am sure that you are rolling your eyes now. It’s hard to believe a 6.5 year old could be a good writer. He not only wrote an exciting edge of your seat adventure, he did it in a way that if I didn’t witness the whole thing, I would have a hard time believing it too. I saw him with the pencil eraser to his cheek, looking up to ceiling, (or beyond) and snatching these words right out the universe. He reignited an old flame that once flickered inside me. Since that night we have been slowly putting these books together. I too have hit the “then what” wall. What do we do now? I made a book press. Woo Hoo! Now what? Together we can and will write the amazing novels. I just need the guidance to guide him and myself on this journey. Just wanted to touch base with everyone and see where they stand on their commitment to writing/publishing a book this year. I’m personally getting ready to self-publish a urban fantasy book on Kindle within the next few weeks and softcover hopefully by the middle of December. Has anyone else written a book since this post/article first went up? Hi I desire to write a book and am so passionate about it. I have some pages done but I still have a lot on my mind to pour out in prints. It’s really overwhelming and I will surely appreciate any help on this. It will be my best achievement in life if I could ever this book on the shelf someday !! I have already started a 2nd manuscript! Could use help. Thanks, l hope you read this!I don’t have a website set up. I’ve been working on a piece since June of this year. I enjoy writing and once I get started it flows easily most of the time. My desire to ultimately publish something had been with me for years but the hurdles seem too much I fear. I am very interested. I have a story that is about three chapters complete, and now I am stuck on where to go next. I’m an unpublished author. I have been working on and off this novel I’m doing for the past four years. Since I have not been working for the past few months, I just started back writing and turned in a short short story to writers Digest and working on the novel I’m writing. I have an idea for a romance story. I just have not decided should it be a novel or short story. Welcome, Janice! Congrats on already submitting something to Writer’s Digest. And good luck on the rest of your planned projects – please keep us posted on your success! Count me in! I have a few books lingering in my head. Various types, too. Two will be children’s books. My story of how I got electrocuted at work (WalMart), memoirs, finding my family or maybe we found each other (family I never knew existed). Okay, maybe more than a few. Thinking about writing a book series, as well. I better get writing! Hi Marcia! Well, I’m already intrigued – electrocuted? Glad you’re okay! I’m definitely looking forward to watching you bring these books to fruition! launched in November 2015. I can not judge my work. The Prof who reviewed the book praised my effort. My classmates at the launch were full of praises for me too, I was elated. This achievement has now encouraged me to move ahead with my first love – writing as a retired engineer even at 73 years of age. I love writing and look forward to your highly entertaining blog to take me to greater heights. Congratulations on having such a good plan. “Live Your Dreams” is my motivational directive. I retired early (52) to move to the tropics and write. Moved my 90 year old mom down to take care of her. Life is good for us both. I have 3 novels done, along with some other pieces I have done as exercises to hone my skills; short stories, novellas, plays and an assortment of ideas, outlines and research. Writing is the easy part. Preparing to publish and market my books led me to AWAI. I am taking the Accelerated Copywriting course now. To write copy for good money and self publish my pleasure writing is my plan. My goal is to get my copywriting business up and running this year. Then I can pay for professional services like editing, cover art and the things that make your work stand out. The copywriting skills I am learning and practicing will allow me to market my books. This is serious motivation, making 2 dreams come true by living the writers life. Wow, Tony – thank you for sharing your story! It’s always nice to hear from someone who is already enjoying life… and in the tropics, no less! I’m so glad you found AWAI, and I look forward to getting to know you and doing whatever I can to help you move forward with your writing and publishing goals. Best of luck! Hello! I’m looking forward to your teaching and advises to start writing my book. I have the idea,I have the subject, some facts and data,and I have something from my experiences about the subject and the idea.,but I need more help.I don’t know how to start,where and when. Hi Fatmir, glad to hear you’re ready to get started on your book! When you don’t know where to start, often the best thing to do is just start. You can start writing anything for your book. You don’t have to start at the beginning, it can be anywhere. Even if you don’t know the structure of your book or story, you can just start writing, and it will probably come to you later. Or when you’ve written for a while, you can create an outline. But my best advice is to just write! I can see that I am a ‘Ronny’ come lately to this blog. Because of an interesting brain dysfunction, I have always said that I dream novels. Putting them on paper has been the challenging part. Perhaps the reading of others struggling will help me get over this hurdle. Just to get something out would be a life achievement. Thanks for this blog and i look forward to reading the next chapter. Blessed to have this time, especially after having been a single parent for the past 15 years. I hear what is your passion? I reply to be creative. I have always lived books and reading. All of my adult life I have had a title in my head! However I have no idea what to actually write about. I need Devine inspiration! Hi Mindy, I’m much like you. I have story ideas floating around in my head all the time. I get started on them write out a couple of chapters and then… I stop. I’ll look at my laptop longingly and wonder why I don’t finish the story. It’s still their in my head. As I think of what I’ve written so far, more ideas and plot directions pop into my head but I can’t seem to bring myself to sit down and type it out into the file(s) that are saved on my laptop. When I saw the add for Barefoot Writing I thought that this could be the catalyst that will motivate me to finish these stories. I also have a memoir that I’ve written that’s for a specific niche reader. That has been sitting in a flash drive for about 8 years. It wasn’t easy to write emotionally, but the words just flowed out of my hands on on to the screen. I want to be able to rewrite this memoir and get it published. Hopefully to help others that have been through similar traumas as mine. I am currently studying the “Accelerated Program for Six-Figure Copywriting” because I believe that copywriting would be like exercising writing muscles that I can use with confidence to finish my memoir, my novel and who know what else. I can use the skills that I learn through the course and through AWAI and The Barefoot Writer to make some extra money and possibly used it to make my living, being a writer full time living the Barefoot Writer’s lifstyle… I AM STOKED!!! I am really looking forward to the possibilities this program offers. I have had some wonderful careers, some very high pressure. Interior Designer, then mom of six!! (probably the largest stress!) While taking those few years off I continued my education and wrote several thesis for degrees. Then became a History Professor, moved, became a Realtor, for ease of controlling my time. And I became a Certified Creativity Coach. All this actually blends well together as well as the experience at writing MANY promo pieces and educational essays. Now, I have time to fulfill my dreams! I have several fiction books started, a non fiction that I am SO EXCITED about, and I really enjoy writing, the process, the creating, and, hopefully, the success. As a Creativity Coach I knew and know it takes more than beginnings, more than hopes, more than dreams. AND, did I mention, I also want to MAKE MONEY, doing what I love on my terms! So. I am very excited about this forum and the possibilities for each of us!!! Looking forward to progressing and hearing about others progress!!! I am new to the Barefoot Writer and AWAI but find myself being very impressed by the information that is available to a hope-to-be writer like myself. I haven’t even read that much yet but everything I see, I know I will need. It sounds like your blog will contain the basics as well as the how-to points for steps 2,3,4, etc. I just want to thank you up front and wish you the best of luck with your blog. I am a newbie still green behind the ears as we say in the construction field. I am going to follow this blog faithfully because one day I also would like to publish my own book. I’m an avid lover of the written word, and have so many ideas and different beginnings to novels started. But fear has crippled me. I’m currently a store manager at Starbucks, and it takes up so much of my time, so I feel lost. I’m afraid financially for the “then what?”. But, your post is the first one, in a long time, that has made me feel any hint of reassurance that I’m not alone in how I feel. Thank you. I look forward to your entries to come. Yes! I am currently in the ‘then what’ stage. I recently decided to self-publish and set a date in August as my goal. I can’t wait to learn as much as possible about the process. I’m in the beginning stages of writing and am finishing up research. Look forward to reading your blog. I’m new to Barefoot Writers club and AWAI. I signed up for the Accelerated Six Figure online class and I’m having problems, but I will persevere. I am in a program, through my state agency job, called Ascent Leadership Program. Through this program I was encouraged to write and publish my life as an abused person. I did. I even self-published for free because I’m frugal. I am currently on my 2nd book, again, about my life but in a different way. I have tons of children’s books in my head that I have to even write down. But between work, online class, family, I don’t have time. UGH! My main goal is to help people. Make them see that they aren’t alone, that other people have been in their shoes or are currently there. I want to help them see that they don’t have to take the road less traveled, alone. I can’t wait to begin my life as a copywriter, an author and so much more! Thank you for this. I completed an 85K novel during the 2015 NANOWRIMO contest and have revised twice. I have been told my opening needs to be strengthened and I need to revise my query. I am slowly working on both of these and could use some assistance and support. My hope is your blog will offer insight and assistance with my current requirements. I am a current AWAI member, Barefoot Writer, and am attending the Bootcamp (for the first time) this October. I finished my first novel a month or so ago, and have been slogging through how to self-publish. It’s crazy how much more there is to it than I anticipated! I’d love to hear more about your experience. I don’t know where to start! It’s a journey! A very nice one. Problem is once I finish the book,what then? By the way I am a new member, I am looking forward a fruitful journey with you guys. I am South African and I hope I will learn a lot. Thanks. I have the book written. I even have an outline for the rest of a series. I’ve contacted a publisher, they want me to pay them to publish the book, which seems counterintuitive. Then there’s the fear that it won’t be worth reading or I will have to endure criticism I’m not ready to hear. So here it sits. In an envelope on my desk. Waiting for who knows what. Like it’s going to jump up & publish itself or something. The way I understand it, the publisher is supposed to pay YOU for the rights to publish your book, market it and put it on the shelves to sell. The publisher then gets most of the money from the sales and you get royalties (i.e. not near as much as the publisher!) Have you contacted a different publisher? Have you had your book critiqued? It might be worth having your worked critiqued (Writer’s Digest I think charges a small fee in comparison to others) and then maybe make some changes so your book would be more appealing to a publisher. Like I said, the publisher is supposed to buy your work. I am so happy I found you! I am a bit frightened, but don’t tell! My book is finished and will be out in August. I always wanted to write a historical novel but my book is about a stroke I had 17 years ago. I was told I lost a 1/3 of my brain, I was expected to die because of this rare brain disease and there was no treatment. I came up with my own and now I speak and teach about Resilience. It is the marketing of Faith Love and Hypnosis that scares me. Yes, I’d like to be included. I’ve published two books and am working on a third, but I can really benefit from new insights. Marketing is difficult and expensive. So if you can help me find a way to make my books more successful–I’m in! I too, thought about publishing a book for several years, and finally took the plunge a few months ago. I self-published a non-fiction book on Amazon and learned quite a bit in the process. I think the main lesson I’ve learned, especially for non-fiction, is to really narrow your focus on a particular subject. For instance, if the subject is single parenting, I’d cover one aspect of single parenting – like scheduling, or easy recipes, or maybe finance concerns for single parents. The non-fiction books that seem to sell best on Amazon are honed in on a particular subject and provide the reader with specific information they can use. Overall, it’s a big confidence boost getting that first one done. I highly recommend it and I’m looking forward to trying to improve on my first effort! My turn at last! 🙂 Been writing, Journaling my life since 1985. I published my autobiography in 2005. It was in Amazon for almost a year but It didn’t go! It was not my time. Didn’t have the slightest on marketing. Took it out of market in 2006. Then last year I discovered Kindle. I published Power From on High. Again no sales. I published a second, SHOCKING! TV SA? Satan’s Altar. Again no sales. NOW, I getting smarter, mostly blessed. I got in first with Derek Murphy – he did my book cover for free. Then I discovered Copyright with Bryan Cohen. I bought his guide for hooping .99 and opened my eyes to this immense productive world of copyright. My problem as it is for many is money and lack of so many things needed to write a decent book. So, I wrote a crazy email to Rebecca telling her about my goal to plant a veggie garden and keep bees for the future coming. It was mostly a long shot for help to make me plenty money to fulfill my goal. Also it was to practice the persuasive thing. Bingo! I touched Rebecca’s heart and, here I am, registered member of The Barefoot Writer. But the best part is that with all the info from Derek I was able to properly format my Overcoming Supernaturally and create a decent cover for it. It was published yesterday. Again, I wrote a clumsy sales letter to Rebecca and Murphy etc. Again it touched Murphy’s heart–he bought the book and promised me a review. My first sale! Alright, you’ll think that with 3 failures under my belt and lack of knowledge and money to obtain that knowledge it would send me to the quitting bench? NAY! But not because I am so brave, No it is all done Supernaturally by the power of love from on high. That’s what my book is all about. It is actually my failed autobiography in a third person narrative for the most. Now, I do not mean this comment to promote my book. Not at all. But I do mean to encourage all my fellow writes with hope, because, the power of love from on high is descending upon us all. The book will sell because it is worthy plus I rewrote it this time with the help from AWAI, Murphy, Bryan and the rest of kind hearts that my Father in heaven sent my way to make a success out of this book. Why? Because it is our time by that power of love from on high that has descended on yours truly to descend on you all. Rejoice! It’s now the writer’s market. I hope from the bottom of my heart to connect with you all. His love in my heart for all. Hello! Good luck to you on finishing up your book. I plan to follow your blog and see what great info you post. I’m currently just I’m the idea stage. I want to write a children’s book and illustrate it myself so I’m stuck in more than one way with getting started. I’ve written notes about what it will be about but still need to just get started haha. Hoping to get it completed in the next 2-3 years! I’m in the process of putting a childrens book together. I have the characters, storyline and i even have an illustrator. I just have no idea on how to go about starting it. Any suggestions? Im just starting with my writings and kind of lost on whats a good way to get them looked at for maybe getting published? I have several writings and I don’t know what to classify them as but they are like short stories I guess. I look forward to following your blog. I have a young adult novel almost finished but I think finishing it has been hindered by my now what? I’m a teacher but woul LOVE to make a living doing any type of writing. Publishing my book would be the ultimate achievement because it’s been a dream for 20+ years. Since I started following you and AWAI, I’ve started a website and blog but am so lost as to how to gain clients to write for. Every helpful program seems to cost more money. I look forward to gaining insight from you. I’m ALWAYS open to any help or advise as well! Thanks! Hi Mindy, I have authored my first book three years ago (2013-2014), “From Dilemma to a New Dimension” is a 28-day devotional which focuses on Leadership development through sharing the historic episodes of a Christian leader who influenced many lives in the religious community. I presented the work on a small scale in my local community and feel that there is more I would like to do to help make a positive impact on readers. So I am very interested in learning more about “what next”. I will look forward to learning more by following your blog into the coming —HAPPY NEW YEAR! Blessings for your future endeavors and for The Barefoot Writer too. At the same time we were surrounded by forest fires. The smoke was so thick I would go up there and not be able to see the Bitterroots on the other side of the valley, 12 miles away. My truck driver husband was away weeks at a time and I improved my sprinkler skills through trial and error—mostly error—determination and a whole new cussing vocabulary. Living 11 miles from town and two miles from my nearest neighbor gave me solitude anyway, but the sense of being wrapped in quilt batting by that smoke made me feel completely alone. I’m a hermit anyway or I wouldn’t live here, so instead of being a negative, my isolation energized me. My husband and I had watched a Keith Morrison Dateline about a soldier of the Vietnam era dealing with a memory from the war that had nearly destroyed his life. Afterward Bill and I who are 12 days apart in age and who had attended a Lutheran teachers college during the war, discussed how we would have reacted to the man’s situation. We are both from patriotic families with many members in the service. Bill said he would have signed up even though he wasn’t likely to have been drafted. I felt that if it had even occurred to me, I might have found some way to serve. (My aunt had been a MASH nurse in Korea and she had always been my hero.) So I started thinking about Vietnam as I changed pipe, tripping in gopher holes and trying to avoid the horses with the twenty foot pipes. When I finished I would come down the mountain, strip off my wet clothes on the front deck—no neighbors, remember—and wrap up in a thick terry cloth robe with a cup of tea to warm up. Oddly enough, TV Land, a station I had never watched before, started running two shows from the 80’s that I had never watched, China Beach and Tour of Duty, both dramas set in Vietnam at the height of the war. I was hooked. I watched and learned and wrote. I dug out my Encyclopedia Britannica Books of the Year to discover that although I though I knew what was going on back then, my isolation in a church school in Nebraska removed me from much of the tension everyone else was feeling from 1965 to 1972. I remembered one of my characters from my writing was a somewhat dark personality, quiet and distant. Then I realized he was my age. A Montana kid with a grandfather who was a pilot over Europe in WWII. Of course he would have signed up. So Chris MacGregor went to war and I went along with him. I read everything I could lay my hands on from the Eighties and Nineties when Viet vets started writing their stories as therapy. That’s how Chris told his story, a fictional memoir, an episodic recollection of what he saw and experienced in his two years and eight months in country. At the end of the summer I had a finished 90 page novella and an already expanding manuscript for a book. After my solitude with only foul mouthed paper soldiers, my first two weeks back in preschool made me very nervous as I tried to make sure I wasn’t accidentally slipping F-bombs and worse into my conversation. I watched my mouth by day and went home to write authentic Marine conversations all night. And Chris’ recollections grew into a tangled tale of terror, gore, unusual friendships, the stress of leadership and a deep sense of loss, loss, loss. In the meantime, I ran a preschool, built a fantastic house, lost both my parents and Bill’s, worked with my husband and friends in one spectacularly lucky company that skirted disaster for 20 years and was finally sold to make us all millionaires. Then through poor judgment, bad investments, two subsequent unsuccessful businesses and ill health and accidents, the money trickled away. Through most of those years I was writing. But now I want to write to someone other than myself. I want to write to earn and get my family out of the hole we are presently in up to our necks, But at the same time, I want to get Chris introduced to the world. He’s too good of a man to be known only to my family and a small circle of friends. I want to have him be introduced to the real Vietnam veterans who lived the war and the aftermath. I hope they will see themselves in him. I hope they will know him even better than I do. This is why I am in Barefoot Writers. First, I need to support myself and my husband who is now unable to work. But more importantly, I am here to learn my craft, to hone my skills and learn how to network, drawing strength and inspiration from other writers. As you can see, I’m not someone who has trouble facing a blank page. I am here to learn how to put my flood of words to best use. Through your video, you were my first contact with AWAI. I find it interesting you are also a contact guiding me along a path I really hadn’t expected to find in Barefoot Writers. I don’t believe in coincidences. I see things coming together in a way I have always hoped. Thank you for this new and unanticipated opportunity. I was pleased to find your little corner of the Barefoot world devoted to creative writing. Although my prime goal is to develop copywriting skills to support our budget now that my husband can no longer work, I am anxious to get the books I have been working on for 16 + years. Two of the three are nearly finished—and after 16 years they should be—but it’s like you said, if I finish them, then what? Though I am working toward a freelancer’s income, but I am right here to learn how to interact with other writers, to learn, to grow, to build relationships that will allow me to hone my craft was a novelist and as a copywriter. Thanks for the unexpected opportunity to take a writing tangent into fictional times and places so that one day the characters I have come to love will be introduced to the audience who should know them. I appreciate the chance to interact with other writers. It’s been many years since I have had the chance to do so. Am I supposed to edit it? I’ll try again tomorrow. It’s 2 AM and I have to get up early. I started writing to you at 10:45. I should have spent that time writing something for the writing prompts or one of my final chapters. This is like Facebook. I write something and it disappears there too. Maybe my niche is not online copywriting. Aha! There’s hope for online copywriting yet! This couldn’t have come at a better time. After years of believing my fiction writing inspiration had died, I decided at the end of 2016 that 2017 is the year I will write and publish my first book. I’m looking forward to this blog and what it will help me accomplish. Thanks! Three manuscripts all between 15,000-34,000 words in and then I hit the “why am I wasting my time,” self doubt stage. I also have a collection of over 75 poems just sitting on my computer. I have already completed my first book and shared it with “my world” (small as it is)! However, I would like to learn other ways and means of sharing the book and my ability as a writer with a boarder audience. I do have a few other writing notions that I would like to dare and put into motion as well – other books to write. So I feel good about joining this community and becoming a part of AWAI and The Barefoot Writer’s Club. I am just a small city country girl who enjoys that particular mix and would like to share my gift with others in the best way possible. That my family would see the inner torment I was going through. They have been with me all the way. Then I realized if I turned this into an autobiography I could help others with debilitating rheumatic diseases and multiple autoimmune diseases. I am not sure how to do this as some of the entries are very personal but to leave them out would decrease the impact of my life story. Please help me the RA has destroyed the discs in my spine. I had an emergency laminectomy done c2-t3. I was at home recovering from one of many hospitalization I realized I was doing everything right trying to recover but I could not lift my arms and I was progressively getting short of air. I have been behaving myself recovering from surgery. Five months later I felt a golf ball sized protrusions on side of my spine. Surgery failed my vertebrae would not hold the screws. I am now faced with a surgery that very much could end my life, paralyze me from neck down. I have many tests yet to come doc said it would take 5 months to force my body to make bone. This is very scary. I feel the story is yet to come. What should I do? I self-published my book…I can’t believe that was 5 years ago. Yes, it’s available online Amazon, a few other online bookstores here and there, but never really had the time and resources to pursue it full pledge so I can market it. I’m would still like the opportunity to do so; but I am so very grateful that I accomplished the goal of publishing a book and the few sales I made along the way. Writing has always been in my blood … as has reading, yeah that probably makes sense. But it is the latter that has kept me from putting pen to paper to fingers to keyboard, as the more I read the more I realized, that while I wrote better than many, it did not stack up to the talent of the authors and journalists I enjoyed reading and admired. To make a long story short, a few years ago I plunged into the non-fiction genre, self-published 6 Ebooks and went back to earning my bread and butter with my own digital media marketing agency. Three years on, under total negligence, every month like clockwork I get royalty deposits direct to my bank from the countries where my books have sold. Granted, they are a lot less, but from a business point it just made sense. Returning with a view to making this a full fledged business … re-publishing those that I have, re-marketing, expanding presence, and co-incidentally … TADA! justt about to publish a new book I co-authored with a colleague. Glad to join you on this journey. I would VERY much welcome learning from the BAREFOOT WRITER’S CLUB on how to self-publish AND promote the first of my historical novels, which I’ll be rewriting for the 15th time. Why 15 times? Because I’ve garnered enough rejection slips and letters from agents and publishers to make wallpaper. But thanks to knowing you and the help I’ll be receiving from AWAI and the BAREFOOT WRITER’S CLUB, I believe that I will no longer have uncaring gatekeepers preventing me from becoming a successful self-published novelist. So, I won’t be giving up on my dream to become a blockbuster novelist yet. Bless your healing and positive spirit! In 2002-2003, I had self published a book called “Project Serenity: How to gain happiness and peace”, had a website, monthly enewsletter with 300+ valid subscribers. 4 email courses. My topics were self improvement, project management, team work and customer expectations. Had sold 22 ebooks thru clickbank and payments received thru paypal. Then life came in the way and i got busy at my day job (Communications Software Manager). In 2003 I had written a book called “Beyond Wealth to Long Term Prosperity”. It was gathering dust for all these years. Just today it has been accepted and the book will start going thru the grind … draft to book. Every writer must go thru the process once to understand the discipline … and realize that you must never delay on your deliverable as a small delay will cascade and affect so many areas. Maybe in 3 to 6 months time I will write about the process, grind and fun I had. Hi Mindy I have had a dream of writing since a very early age my mother called it lying but I would make up stories that I just thought of I loved to tell stories. I love the thought and believe and have faith that I will be a published best-selling worldwide author. I have been riding for a very long time I have journals that are just filled half full or I get another one because of certain different stages in my life I just need to connect and get the know-how of where to go from here. I thank you for being open to sharing the journey I know that you will enjoy it I’m believing that for you and with you. I love writing. I write plays and small stories that inspire others for a positive outlook on life. I have done many plays and people say they would make great movies. However, I have never taken the step to turn them into books. I have seen people’s lives change after the plays, but I never have considered charging money for the script. I would love to know how to turn these life changing stories into wonderful pages of mystery and intrigue that could inspire others to find their inner peace and purpose. Thanks for any suggestions to make this a success. I am ready! Like you, I have several stories started, but never seem to finish them. I have always had ideas for stories, but don’t seem to know how to carry them to fruition. I sense that my blockage is my own head telling me that what I’m writing isn’t good enough. I’ve been traveling lately though and I have a lot of experiences to write about. These are true stories so they will probably be easier to finish. Yet I started one last year and I still haven’t finished it. Perhaps it is time…. Looking forward to reading more on your blog. Hi Mindy, My name is Lydia and I would really like to get my book published this year. In fact, I am in the process of rewriting it for typos and editing it myself. It is book one in a trilogy. People who have heard me read it says it’s like Steven King meets David Saul with a little Texas Chainsaw Massacre thrown in. It is called “There’s No Way Out and it has been really fun writing it. I just hope it is good enough to be published. That is my whole problem I don’t feel that it is good enough compared to some of the other authors I have read. Hi Mindy, thank you for this article! I have had an idea for a children’s novel in my head for several years now. I have written some of my ideas down, and started and restarted writing a couple of chapters. The negative comments from people, especially family, have really discouraged me. My daughter has been encouraging me over the last year, though. She desperately wants me to write more, because she likes my story so far. We are a family of avid readers, but also introverts who are prone to depression. I really appreciate having a group of writers to journey with. Thank you so much! I’m in the process of researching a non-fiction book, and hope to start writing by the end of the year. Will this program benefit me, or is it geared mainly for novels? I wrote a book and it is up on Amazon, a few copies have sold. Now I have the 2nd and 3rd running around in my head. Well, I must say, I have just learned so much from reading everyone’s comments. I admire all of you so much. I have 7 chapters written and it has only taken me five years to do so. I now belong to a writers club in the town I live in. They are wonderful and have helped so much but I have a long way to go. I am looking forward to this experience, what a wonderful way to learn. This is wonderful, I am just getting started, in fact, I am so new I have not written anything. I have been want to write for a long time now, I started researching and just jotting ideas down for the last few months. There is tons of information on the web about writing and so far, Barefoot Writers has been the most helpful. I did start a blog (yet to really get it out there), but have been dragging my feet about actually publishing. I have said to myself ‘no one is going to like this, or I won’t get readers. Well, I am doing it, thanks to this article, and everyone who comments, and even if I don’t get read or published, I tried my best to do what I want to do. Mindy I love this! I started to write a Memoir about 2 years ago. Wow! That was painful. Planned to carry it back a couple generations. Got started on one back and knew I had to go 2 back and then 3 and then 4. I’m a genealogy nut also, so my brain is constantly churning about writing about all these people, how to arrange them…then thought I would incorporate my memoir happenings within the pages, happening to other people, just to get it down on paper. I’ve written 6 chapters, and rewritten and rewritten. I belong to a Creative Writer’s Group and we critique each other’s work and discuss it. So that is where I am. Short term goals to write EVERY day, even a page. Long term goal to complete the “book”. Hi Mindy, I am wanting to write a book or two. I have a chapter written for each book. One is a scifi thriller and the other will be fact fiction. I fancy Stephen King to Joe Hill. Jack Kerouac to Charles Bukowski. I just want to be a writer. I am practising typing because I never learned when I was in high school. I think I am doing pretty well with it. Though my typing skills are still are slowly coming along I assure you I am a damn good writter. I love to write freestyle poetry and flash fiction as well. Would love to know how to come up with a blog. Finally, about a month ago, I secured my first copywriting client. It has been a long overdue accomplishment. To be realistic, I have not YET generated a livable income as a writer. 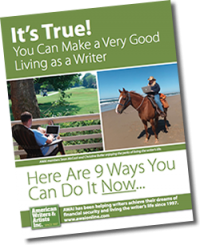 Copywriting was supposed to generate income while I wrote my novel. I am switching gears and writing my novel. I bought 2 packets of steno pads last week and have already begun research on my novel. (The beginning chapter was written years ago) This will be my year as a writer. I read all of the previous comments. To my fellow writers, we, “Us – per Mindy, ” MUST write. And write we will. People like to say they want to “make a million dollars, ” I say impact at least one million people through your writing. As the saying goes, “It’s either now or never.” Thanks AWAI for getting us writers together. Writers are indeed amazing people. I wrote a book. It is a nonfiction historical view of a popular tourist destination. I even had an honest-to-God mainstream publisher interested. I hit a wall while trying to get permissions for historical photographs, life happened, I dropped the project – one of my biggest regrets. Ten years later I’ve decided to pick up the pieces – started doing revisions, but I find I’m my own worst enemy. I have a resistance to sitting down and doing the project (subconcious fear of failure, maybe?) I’m interested in any tricks you might use to regain momentum and enthusiasm in your own journey. My cousin just showed me this website. I had about 60 pages of my book, but I’m rewriting it all (mainly to patch up the plot) . I’m only 8 pages in right now. Writing hasn’t always been my dream. I started in July 2015 when I had an idea that I just really wanted to write. Ever since then, I’ve been writing and learning on my own. I hope that this blog will help me as I continue! I’ve had a few ideas for some non-fiction, teaching books bumping around the old brain cells for several years now. Haven’t gotten beyond making some (very) broad notes as yet. How does one follow this blog? Is it simply by commenting?